When it comes to Binary Options, a good strategy is vital in order to make money. If you are trading Binary Options and don't have a strategy, you are gambling. How do I find a good Strategy? Even if you are following signals, the best way to make money is to understand the strategy that signal provider is using. 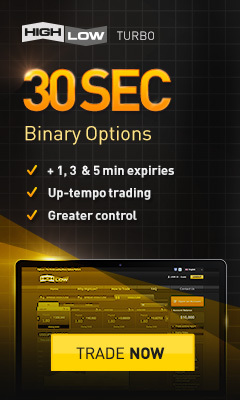 Now, we have to understand that there is no 100% accuracy strategy in Binary Options, however, Binary Living Way has developed some good strategies that have been giving results for over a year now. It does not matter if you are looking for a short term strategy such a turbo or for a long term strategy for 15 minutes, 30 minutes or even 1 hour expirations, the strategies we share with the members are targeted for every type of trader. Even Forex traders have been able to get benefit from the strategies shared. The accuracy on those strategies go from 70% to 90% accuracy when applied according to our instructions in regards to set up and time to expiry. One of the common mistakes we have is that we over trade. Whenever we see that a strategy is starting to be profitable, we don't stop trading after we got profit and we end up losing the money earned plus our original balance. The other mistake we make is to try to force trades, even when the setup is not appropriate or as recommended by the strategy creator and we end up losing money. Click here to see the 9 Common mistakes we all do as beginners. I really hope these articles are helpful for all of you and always remember to use demo first when testing any this strategy or any strategy on this website! Want to know about the Copy Trader Feature? How do I join Facebook Signals group?